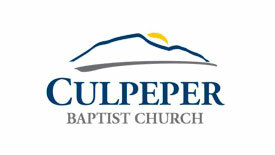 Weather forecast for Culpeper VA listed below. Unless the forecast changes (or there are Thunderstorms in the morning) we will be riding tomorrow. The 100mile course does have an option to cut it down to an 80ish mile course (see cue sheet). Be sure to check this page tonight / tomorrow morning for any additional updates. CULPEPER, VA: Good morning! Much of the day today should be mostly dry outside of some intermittent light rain/drizzle around the area. Rainfall through the day should be minimal. Rain and embedded thunderstorm chances increase some after 8pm this evening, with scattered activity remaining possible into the early morning hours of Saturday. The best chance will be 8pm-3am tonight. The chance of rain tonight will be about 50-60% and the chance of storms will be about 20-30%. No widespread strong storms are expected, but a few of the storms could produce brief gusty winds up to 30-40 mph and low amounts of lightning.